When you think of ways to improve your business, bookkeeping isn’t usually the first thing that comes to mind. However, the way you keep your books can have a serious impact on your success. It’s crucial to understand the state of your business finances in areas such as cash flow and profit & loss. 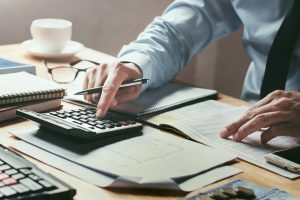 While there are many types of reports and data you can study, there are a few basic bookkeeping reports that are essential to the health of your business finances. Cash Flow Statement – This tracks the inflow and outflow of cash. Inflow includes sales of goods and services and selling off real estate or equipment. Outflow includes payroll, purchasing inventory and other business expenses. Balance Sheet – Your balance sheet lists your assets and liabilities. Assets are everything you own as well as any capital at your disposal. Liabilities are what you owe such as debt and accounts payable. Income Statement – The income or profit and loss statement tells you whether you’re making or losing money. It reveals your net income (or loss) after all revenue and expenses are considered. Your income or P & L statement is one of the first things lenders and investors typically want to see to determine the condition of your business. It’s not enough to simply know the current state of your business finances. It’s best to look ahead and forecast. Of course, no one can predict the future with certainty. However, you can look at current conditions and make some educated forecasts based on current earnings and market conditions. Forecasting keeps you oriented towards the future and helps you make better decisions. Most business owners aren’t really qualified to do their own bookkeeping. On the other hand, hiring a full-time or even part-time bookkeeper is an ongoing expense. For many businesses, it makes sense to outsource bookkeeping to a reliable agency. You’ll be able to get expert advice and ensure that your books are well-organized and ready for possible audits. Once you find a trustworthy person or agency to handle this aspect of your business you can relax and focus on doing what you’re best at. If you decide to do your own bookkeeping rather than outsourcing it, the right software will make your life a lot easier. Today there are many efficient and user-friendly cloud-based bookkeeping solutions to choose from. You can research some of the leading bookkeeping software applications, such as QuickBooks and Bill.com and see which one is right for you. Most of these options offer customer billing and more. When you choose one, take the time to learn the features and make the most of them. These services offer good support which you should take advantage of if you have any questions. These tips will help you manage your business bookkeeping more effectively. If your financial reports reveal that your cash flow situation is less than ideal, you might want to consider invoice factoring. This is a flexible type of financing where you can get immediate cash for your invoices. To learn more about invoice factoring, contact Riviera Finance.